Rufus Coates and Jess Smith. CRITICALLY ACCLAIMED Irish indie bands will be taking to the stage of the Róisín Dubh over the coming Wednesday nights for the monthly Citóg gigs, with folk-blues, rock, electro, and acoustic genres well to the fore. Admission to all three shows are free. Doors are at 9pm. This month's Citóg gigs start tonight [Wednesday June 3] with RUFUS COATES & THE BLACKENED TREES headlining. The band, whose debut album is due in the autumn, play a dark, atmospheric roots/folk-blues centered around the vocal harmonies of Rufus Coates and Jess Smith. Their sound is influenced by Townes Van Zandt, Nick Cave, and Leonard Cohen. They have played Electric Picnic, Life Festival, and KnockanStockan. 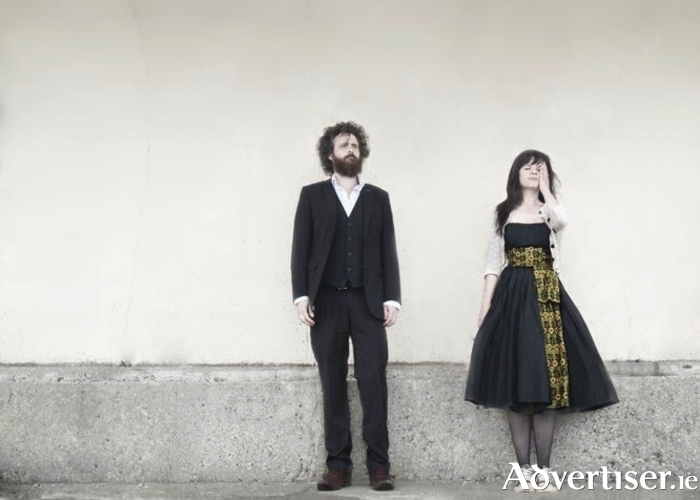 Support is from Aran Island singer-songwriter Padraig Jack, and Galway born singer-songwriter Maija Sofia. Critically acclaimed Limerick band FOX JAW, who Hotpress have described as "a feast for the ears. Dark, moody, and slightly schizophrenic"; and by Nialler9 as "majestic...with a distinct Irish touch," play on June 10. The band - Ronan Mitchell, Morgan Nolan, Shane Serrano, Manolis Pates, and Kieran J Sims - saw their profile rise considerably with the release last year of their second album, Ghost’s Parade, which had critics and bloggers in a state of excitement. This year has already seen the band release their fifth vinyl release in 12 months, which includes four 7” vinyl releases, one for each of their singles. Each release is a limited edition, hand numbered, transparent coloured vinyl release. The B-side of each features the same song, redone in a different genre, where Fox Jaw have collaborated with artists, DJs, producers and MCs to produce a variety of takes of their music, from lounge jazz, to swamp blues, dub, and hip hop. Support is from the excellent Galway band Harrison & The Devil, who have also earned praise from Nialler9, and Achill Island singer-songwriter Graham Sweeney. Support is from Limerick born singer Fraser Jane and Alis.